William Wilberforce didn’t die for his faith. He lived for his faith. He devoted his life to seeing the illegalization of slavery and to the betterment of Christian practice in England. He’s in the cloud of witnesses. I spoke with a kind Jewish woman as she was going through the pain of her father’s passing. She said, “I don’t know what you believe happens now, but we don’t really know.” While I appreciated her honesty, I want a faith that is more complete than that. I don’t understand all of the mysteries of the link between earth and heaven. Fair enough. But I have abiding confidence that life with Jesus continues beyond the grave. The cloud of witnesses builds faith in my heart. One powerful example is the self-sacrificing faith of Jim Elliot, Nate Saint, Ed McCully, Roger Youderian, and Pete Fleming who died bringing Jesus’ love to an aboriginal people in Ecuador. Does getting killed in the jungle mean your faith is true? No, but Jim, Nate, Ed, Roger and Pete took their place in the cloud of witnesses. William Wilberforce didn’t die for his faith. He lived for his faith. He devoted his life to seeing the illegalization of slavery and to the betterment of Christian practice in England. He’s in the cloud. Bruce and Merrilyn Nehring were married and graduated from Central Pentecostal College in 1963. They gave 45 years of their lives to pastor churches across Ontario, Manitoba, Saskatchewan, Alberta and the Northwest Territories. Their legacy of love was not lost on, among others, their son. Elisabeth Elliot. Through Gates of Splendor (Wheaton, Illinois: Tyndale. 2005). End of the Spear. DVD. Directed by Jim Hanon. Every Tribe Entertainment, 2005. Amazing Grace. DVD. Directed by Michael Apted. Walden Media, 2006. "William Wilberforce didn’t die for his faith. He lived for his faith." What a wonderful way of looking at it Evan. A wonderful post too. Thanks for sharing it. 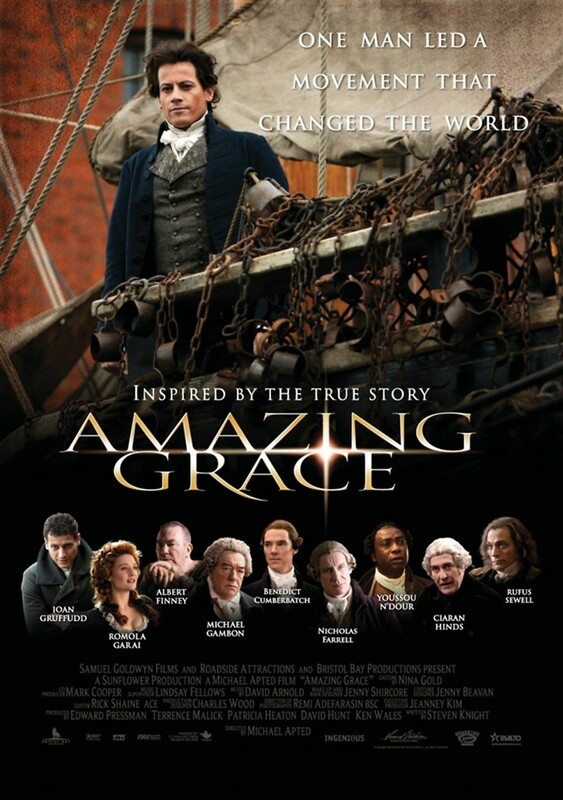 John, it's hard to describe how deeply the Amazing Grace movie, the Wilberforce movie, moves me. I consider him a mentor.